If you’re reading this review, I’m going to assume that you’ve played the first episode (so spoilers are fair game), but I will not spoil the second episode. You’ve been warned! If you need a refresher, check out this recap video. My review of The Hangman is linked above. The Wise Monkey picks up right where The Hangman left off. Erica and Sully are back at the office a few hours after Davies has been found dead. A new director has flown in – McAdams, and everyone is debriefing with him. McAdams is also a total jerk – think every FBI supervisor you’ve ever seen in a movie. We learn about the case Sully was working on during the last episode while Erica was investigating the hangman – a case he’s called “The Wise Monkey,” because the victims are getting their eyes, tongues, and/or ears cut off. At first, I questioned why we hadn’t heard anything about this case during The Hangman, but realized that Erica was both too wrapped up in her own case and actively avoiding Sully, so it makes sense that we wouldn’t have. Erica questions someone who is linked to the prime suspect. Due to something that happens early on in the episode, Erica is taken off of The Hangman case and reassigned to The Wise Monkey case. The rest of the episode involves a lot of detective work and quite a few surprises. The graphics and sound are much the same as last time – I didn’t notice anything drastically different, and I still really appreciate the artwork and soundtrack of this game. The choir continues to set a wonderfully creepy atmosphere whenever it pops up, as does the rest of the music. The end credits song is really awesome. Again, the game is not for the easily grossed-out; dead bodies and blood are prevalent. Beautifully-illustrated blood and dead bodies…but still. Ick. This is one of two ways this situation can play out. This episode has a crazy start – even moreso than the last one, I would argue, because it’s unexpected. At the beginning of The Wise Monkey, they try something new that I hoped would carry on throughout the game, but it didn’t. The situation that happens before the credits can happen in one of two ways, depending on a single decision that Erica makes. This doesn’t have any effect on the game beyond changing where the opening credits occur and small changes to what Erica has to do at the beginning, but I really liked it and hope that there will be more moments like this in the next two episodes in order to add replayability. This episode was easier for me to figure out on my own – I only checked in with Erica’s dad a few times, and didn’t need a walkthrough at all. Detective work has also been streamlined; I never felt like I was backtracking or unable to pick something up for an arbitrary reason. These aspects were definitely improved from the last episode. The only time I was annoyed with something was when Erica was telling me she had to figure out where someone went, even though I had her look at the prominent bloodstain on the door. The game wouldn’t let me move forward until I used cognition. So, when in doubt – use Erica’s powers. Speaking of, Erica hones a new power in this episode: synergy. This allows you to look at different inventory items that were in the same place and see a memory of what happened when they were together. It comes together in a really cool way for the final puzzle of The Wise Monkey as well as being used throughout. 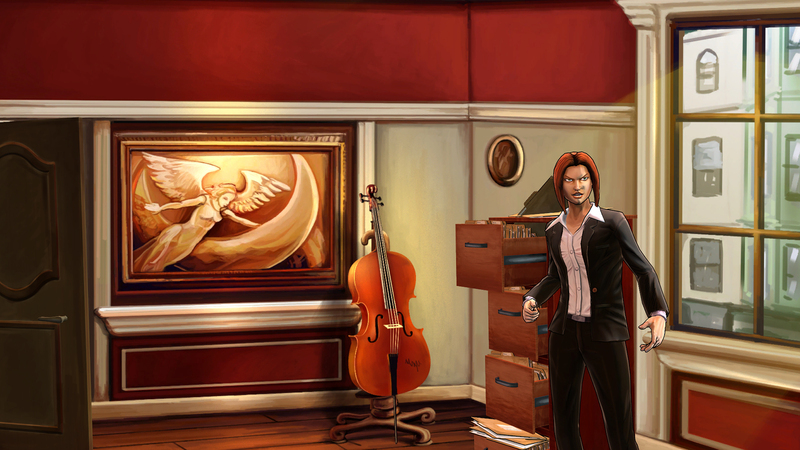 The game does a great job of making you feel like a detective, and I haven’t been able to find any holes in the clues. I like how they work in Erica’s powers too – it’s not a huge deal that she has them, they are just a part of her that helps her be a better detective. I’d like to note that Cognition has been slightly self-referential. In this episode, someone says, “This isn’t a comic book, agent,” to Erica (referencing the art style), and later, Erica jokes about taking everything that isn’t nailed down. While some people might not like that, I’m a big fan of a game that can poke fun at itself. It also doesn’t happen enough to take you out of the game. The Wise Monkey took me about four and a half hours to complete – shorter than the last episode by an hour or so. I think that Cognition has really upped the ante with this episode. The story is even more compelling, investigating has become more streamlined, and it left me upset that it had ended (especially with the twists that occur toward the end). 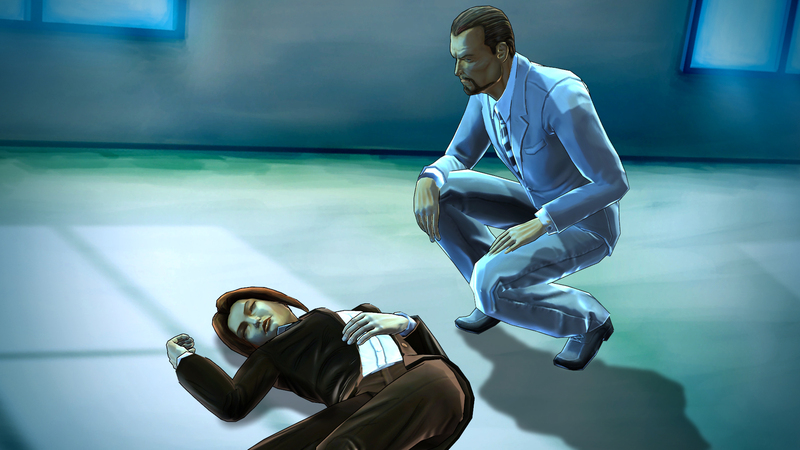 I’m absolutely hooked on Cognition, and can’t wait to be able to play the next episode – The Oracle. Listen after the credits for an audio preview of it! 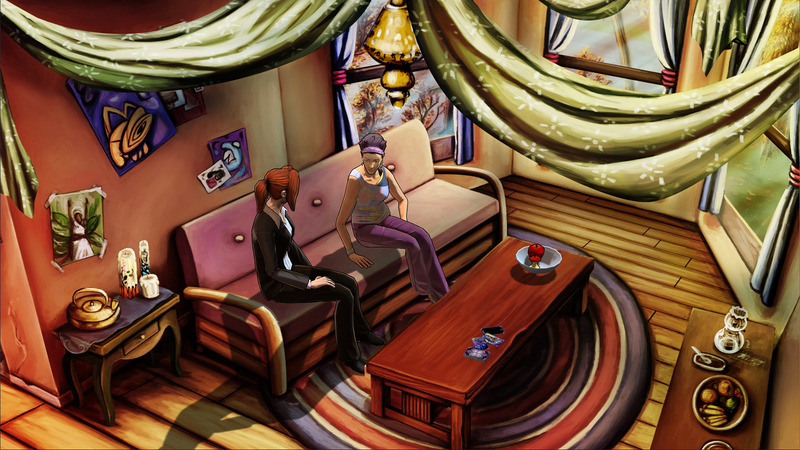 Another note – it’s really strange and awesome to hear my name voiced by characters in a game – I don’t think I’ve ever come across a game where one of the main characters was named Kelsey. So that was cool. 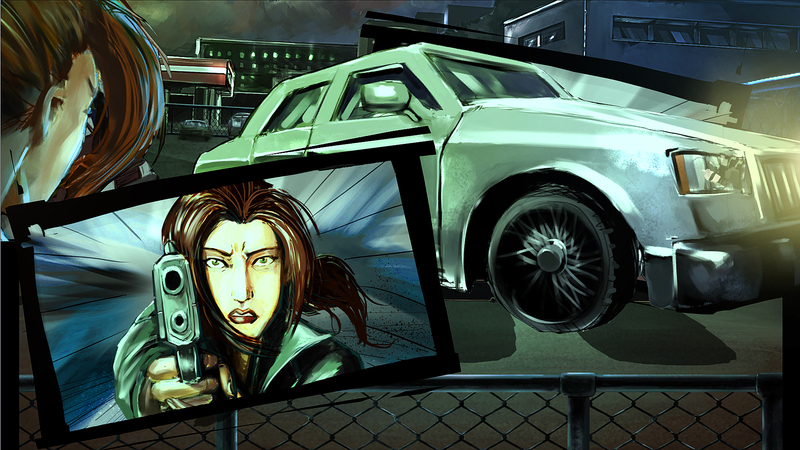 You can get Cognition: An Erica Reed Thriller: Episode Two: The Wise Monkey via Phoenix Online Studios, GamersGate, Gamestop, Gamefly, Rain Digital Games, and the game is up for voting on Steam Greenlight. Each episode sells for $9.99, and a four-episode season pass that includes the digital prequel comic is $29.99. 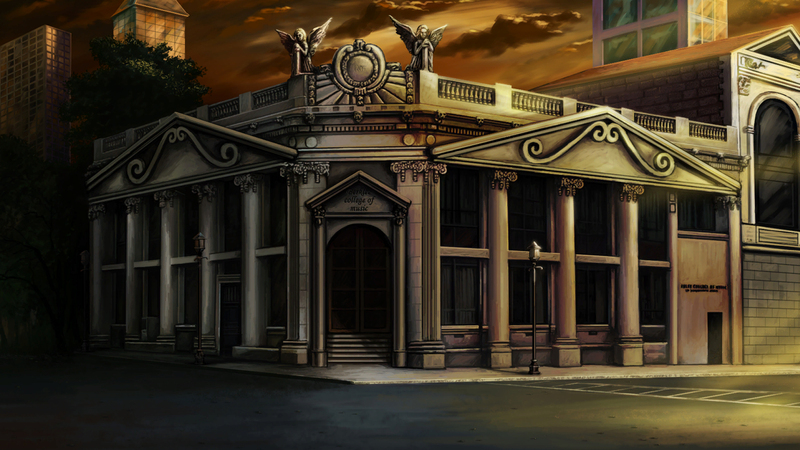 Cognition is available for both PC and Mac. Try out the demo here. Let me know what you think of Cognition in the comments!